The J&S Tool strives daily to provide high quality and value through superior products and services for the metal cutting industry throughout the world. Through research, development, and advanced engineering practices J&S Tool's employees, products, and services will provide value over and above our customers' expectations. With our roots as an engineering/manufacturing company, we know our products have to stand up to everyday use, kind or harsh environments, and work at or above your expectations. 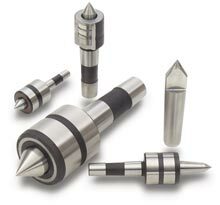 J&S Tool precision live centers and dead centers are a must if you are turning or grinding products with close tolerances. J&S Fluidmotion Radius and Angle Wheel Dressers are the industry's benchmark for dressers. 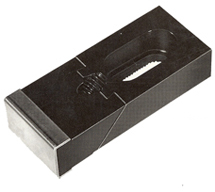 These can be fitted to almost any grinding machine for your use. Workholding clamps by J&S Tool can't be beat when it comes to power holding, low profile design, and dependability. Hundreds of other manufacturers agree. 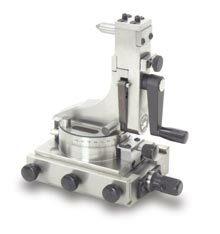 The J&S Tool Centru centerhole grinding machines well help make your part stand above the rest. Grinding your centerholes with a Centru machine will align your centerholes for proper finish grinding. In our standard product line we have an infinite number of possibilities to solve your challenges whether modifying a standard item or designing something from scratch. Some of the best ideas for upgrades, changes, and additions to J&S Tool products, as well as new ways to do things better, come from our customers. "If you can think it up, we can make it up." Send us your most challenging problem and we'll provide you with the best machine tool product values around. At J&S Tool we have sold over one million J&S Centers since 1955 maintaining an unparalleled record of customer satisfaction. Our commitment to provide our customers with quality products has helped us pioneer many design and capability advances; including chucking live centers, 3 point contact centers, Supercenters, and hydraulic thrust readout of center loads.